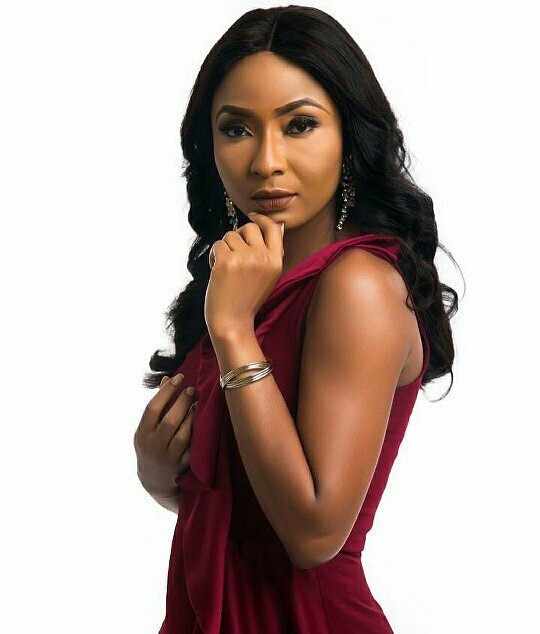 Multiple award winning actress and entrepreneur Belinda Effah hit the limelight in 2011 after she starred inTales of Eve and ever since she has never looked back. In this interview with RITA OKOYE, the CEO of Favour Right Foods speaks on career and her dreams. When did you tell yourself that you wanted to be an actress? I was a child when I made that decision. I was very young. I used to write poetry and short stories. I also mimicked people a lot and I used to love to be part of the drama department wherever I was. I love this; this is my life. When did you get your first acting opportunity? I did some drama in church growing up but the first professional work was The Room. I played a significant role in the movie and it was shown on DSTV for a long time. It’s actually an Efik language movie. How did you make it into the industry? Once I knew that this was what I was born to do I made sure I had my ears to the ground always so I could know where and when something was happening. Back in the day nobody gave you an opportunity as a green horn. If you’re not a known face, nobody will gamble their lead role on you. However, for The Room, I got the lead role through referral. It had already been shot but Mnet didn’t like the production so they got another director who had worked with me to re-produce the movie. I also had a bit of an edge because I could speak the language so, they called and auditioned me and I got the lead role. And was that how other roles started coming in? No, other roles didn’t follow automatically. I was in the industry for a long time just attending auditions and things weren’t really happening. At that time I was in school at the University of Calabar. I’d come to Lagos to try my hands in this and that and also attend auditions but it just wasn’t just working out. I did Next Movie Star Reality TV show in 2006 and I was one of the last men standing but I didn’t win. But with that experience I tried to launch myself into the industry but it still didn’t work. You know how Big Brother makes housemates stars overnight. My own didn’t work like that. I had to work and push until it started working in 2011. It was after I did Tales of Eves that I got my break and things started turning around. Yes, I won a lot of awards with Kokoma which was produced by Uduak Oguamanam, Emem Isong’s sister. Kokoma was an indigenous language based movie and it earned me almost all the awards you can think of ranging from AAMA, BON and NEA; I won almost all the relevant awards available at that time. What’s the funniest thing you’ve heard about yourself? There’s a recent one on my IG page. I recently got a nomination for an award from Ivory Coast for Best Actress. Someone reacted thus: “That Belinda, she over acts”. I was just like ‘Is this the congrats I am supposed to get?’ If even she hates me so much, this is an achievement, an international body recognising me and you come on my page to show your hate. It didn’t make sense. We are just trying in our different ways. Even if you don’t like me, appreciate the fact that I’m affecting lives. A lot of people were saying nice things about me but that was the only comment that really got to me. People just hate people outrightly. And one thing my directors used to say is that ‘I’d rather have an actor that overacts than the one that under acts’ and I just consoled myself with that. I’d be delving into my private life if I answered this question. People know me for my movies. I don’t want to expose my private life to the world. You know, once your private life is out there, it’s exposed to destruction. Let’s face it, a lot of people don’t wish you well. Some people want to feel that they have control over your private life. This is the aspect I don’t want. I’d rather not say anything about it. However, a lot of my colleagues have been flashing us with their weddings (laughter), maybe my own will come as a surprise. Some say you are always cheerful and hardly get sad, is that who you are or just the face you show people? That’s my natural self. There’s no negative energy here. A lot of people see more of negativity than the positive things God is doing in their lives but for me, I prefer to magnify the positivity in my life. There will always be challenges when you want to go to the next level of your life. For me I find solution to the challenge and I just move on. How has fame impacted your career? I think it’s been more positive. Once you choose this career, you should be sure that your privacy will be compromised. Whatever you do is seen by all. You are no longer seen as a human but a super human. They don’t expect you to be broke and they don’t expect you to buy food on the streets like roasted corn or roasted plantain either. I’m a down to earth person and I love my local food. I love to visit amala joints to eat; I’m a peoples’ person. Part of my dream is to help people. If I raise myself too much, how will I help the common man on the street? People expect me to live this larger-than-life lifestyle but I’m just trying not to change who I am. I just finished my first feature movie entitled Miracle. It’s my first movie and I did it in honour of God. I want to use it to give back to society. The proceeds from the movie goes to charity. I want to give back to people that made me. Is being featured in Hollywood also part of your dream? Every actress has a yard stick and Hollywood is that yardstick. If I’m called to feature in Hollywood, I’d be over the moon. Nollywood is my core; I’ll never give up on it.